Once the channel begins beaming, Prime Minister Narendra Modi will have the credit of launching two channels exclusively for niche subjects. NEW DELHI: Working overtime to deliver the ambitious Ayushman Bharat, the health insurance scheme for 100 million poor families, the NITI Aayog has initiated discussions to roll out an exclusive health television channel. Once the channel begins beaming, Prime Minister Narendra Modi will have the credit of launching two channels exclusively for niche subjects. In 2015, the NDA government had launched DD Kisan which focuses on agriculture and farmer-related issues. “The government is keen to replicate the DD Kisan model for health issues. 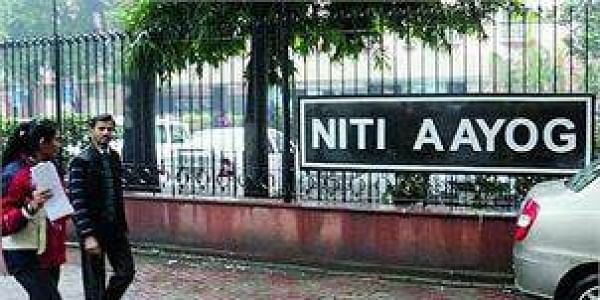 Since the government is aiming to cover 100 million people in the country with a Rs 5 lakh annual health insurance, it’s incumbent that there should be a robust information dissemination platform to make the flagship programme successful in a short span of time,” said a senior official in the NITI Aayog. The Narendra Modi government plans to present the Ayushman Bharat as the NDA’s key legacy to the country. “The government has sought to give top priority to the health issue, which has been at the core of ideas behind the NDA government’s various schemes, including Swachh Bharat, Mission Indradhanush, and others. The basket of programmes focussed on health is only expanding,” the official said. The think-tank panel is said to have held consultations to prepare the blueprint for the launch of the health channel. “The Doordarshan platform has enough capacity to accommodate a new channel. The national broadcaster has adequate infrastructure to roll out the new offering in a short span of time. It can also be in a comfortable position to connect nook and corner of the country to focus on health issues, which remain out of focus for the mainstream media,” the official. Within the NITI Aayog, officials note that there should be an authentic medium to disseminate information about health issues at a time when various sponsored programmes are being beamed on private news channels, “which may be lacking expertise and authenticity”. “The health channel will also find its place among the vibrant audience, with focus on original content, besides tapping resources of various medical institutions in the country,” the official asserted.